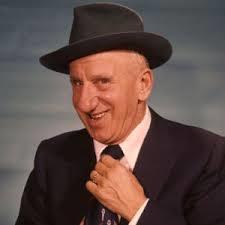 Two crossword puzzles that I recently completed had clues that referred to Jimmy Durante. In one, the solution was Durante’s surname; in the other, the solution was his nickname, “Schnozzola.” Designers of crossword puzzles seem to assume — accurately, for all I know — that theirs is an aged audience. 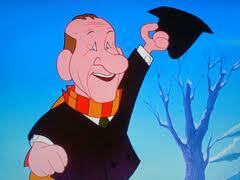 But for the annual rebroadcast of Frosty the Snowman, few people today would ever hear Durante’s voice. My guess is that few people under forty years of age know who he was. This is a natural consequence of the passage of time and of changing tastes in entertainment. 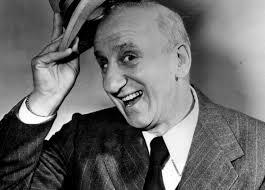 Durante was a talented jazz pianist, comedian, and all-around showman. He also set a standard for humility, decency, and generosity. He probably was one of the most recognizable stars of his time, and his “time” lasted for fifty years. To see Pacino deliver the line and Durante sing it to Monte Wooley, click HERE. To see Durante’s performance in Two Girls and a Sailor, click HERE. I’m grinning away at the very best line in that second video, the one that’s buried deep in the middle. “You know, there’s a million good-looking guys, but I’m a novelty.” I remember Mr. Durante, of course, but I remember him even more clearly now, and I thank you for that! but I’ve gotta get paid in advance. They say the gold is safe in Fort Knox, Kentucky. Well, it’s safer in the pocket of my pants. then they gave me a song and dance. I’ll take a half a dollar now, the rest when you can spare it. an international sort of Dapper Dan. I’ve got it all over Schiaperell’.